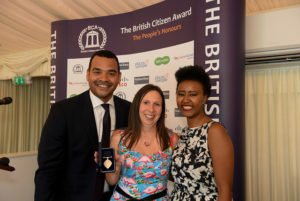 Last week we were honoured to join Fairtrade campaigner Sharron Hardwick as she collected a British Citizen Award for the work she has done around Fairtrade in football. A passionate Stoke City FC fan, Sharron works tirelessly to raise awareness of some of the injustices facing football workers in Pakistan. From Fairtrade football photoshoots with Stoke City to Fairtrade football tournaments in schools, Sharron has made an amazing impact in communicating how unfairness in football isn’t just restricted to fouls and yellow cards on the pitch. 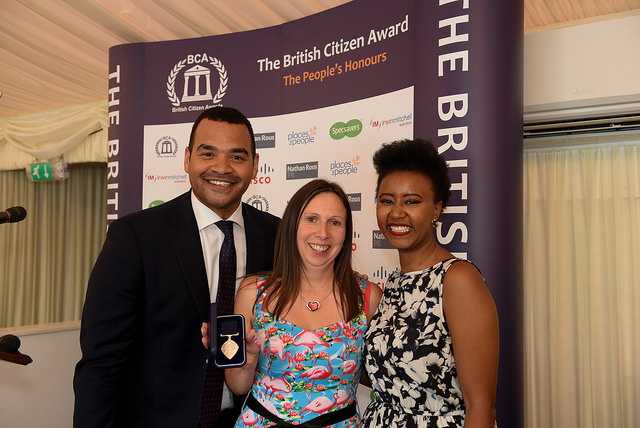 A huge well done to Sharron, seen here receiving her award at the House of Lords last week.